CanadaVet.com Blog: New Year, New Puppy? If you're starting the new year with a new puppy in your home, here are some things you need to remember to make his or her first days a pleasure for both of you. Before you bring your new puppy home, check for plants that may be toxic to your dog (consult with your vet if you're in doubt) and pick up any items which may be harmful if swollowed. Make sure you puppy is microchipped, vaccinated and wormed before you bring him or her home. Be sure to have him or her booked in for a vet check in the first couple of days and make sure your puppy's microchip details are correct. A collar with an ID tag is also a must and always use a collar and lead when walking. When choosing a food, look for a premium food designed for puppies, bearing in mind your new pup's size and age and make sure she has fresh water available for your puppy at all times. Toilet training your puppy can be a challenge. Take your puppy out before bed, after sleeping and eatcing and when it looks around with an urgent expression. Praise your pup when it does the right think but never punish for accidents. 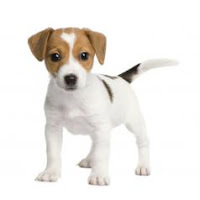 At age 12 weeks, consider booking your puppy in to puppy pre-school, where she can socialize and learn basic obedience. It's important to get dogs used to grooming at an early age, and always use a shampoo designed for puppies as they have sensitive skin. Puppies need worming every 3 weeks until 16 weeks of age, and then every thee months for life. Start flea and tick treatment at about 8 weeks (depending on the flea control product).